There are currently 114,569 users on this website. Cud On 1983 Dime , Above Mint "P"
Hello all! I'm a newbie. 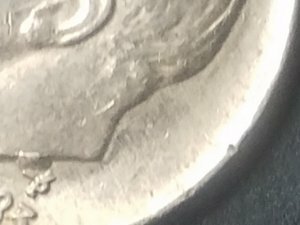 I was wondering if I have an error dime. to CCF. Not a CUD but a die chip.